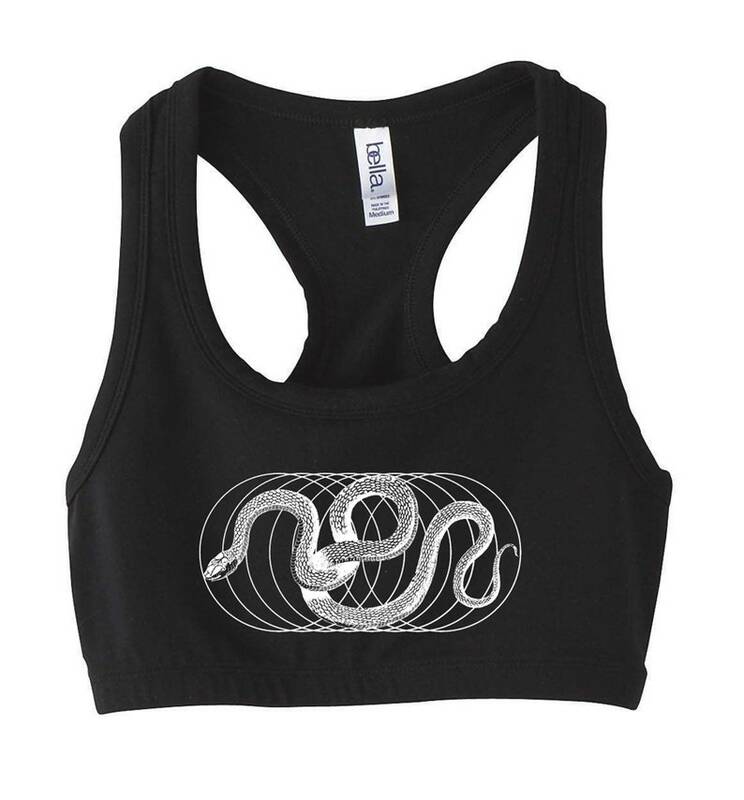 Serpentine design on the brand new super comfy sports bra! Ideal for an active lifestyle, the women's nylon spandex sports bra features a form-fitted silhouette, binding at neck and armholes, elastic bottom opening and racerback. It's also double layered for extra support, making it a great choice for high impact exercise. Features: Sideseamed. Form fitting. Double layered. Binding at neck and armhole. Elastic bottom opening. Racerback. See photos for measurements, but as a general rule, follow your typical shirt sizing. These are very supportive! fast ship, very nice except they run a little small.